The Maserati of SUVs available on our 50/50 plan with 0% APR at Motorline. Plus you'll also receive 3 years' free servicing if you order and register the car before 30 June 2019. 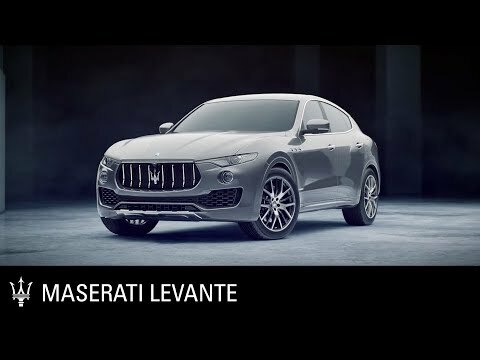 Finance example is based on a APP agreement for the model featured, a Maserati Levante 3.0 V6 350HP plus a contract mileage of 10,000 per annum. Excess mileage charged at 0.12p per mile, total mileage 20,000. Acceptance fee: £0 payable with first monthly payment and £0 at the end of the agreement. Option to purchase fee and optional final payment payable at the end of the agreement if you decide to purchase the vehicle. Excess mileage charges and vehicle condition charges may be payable if you return the vehicle. Terms and conditions apply. On the road cash price includes 12 months road fund licence, vehicle first registration fee, delivery, number plates and VAT. Figures are correct at time of going to print, April 2019 and are subject to change without notice. This offer ends on 30th June 2019.